One of my favorite things at a party is when there’s a photo booth. People seem to love wearing silly things and taking pictures of themselves, no matter what the occasion. 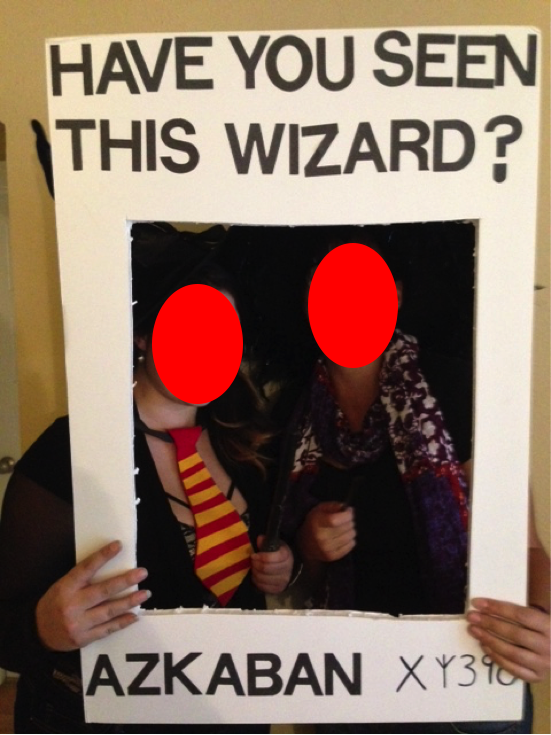 At my recent Halloween party, we decided to make our own photo booth corner. It was Harry Potter themed so I hit ARC for supplies. ARC actually had a brand new-in-package Harry Potter set, including the glasses and wand. This one I put together myself with a jester hat that I cut the bottom off, reading glasses and a new-in-package beard from ARC. Grand total was under $5. 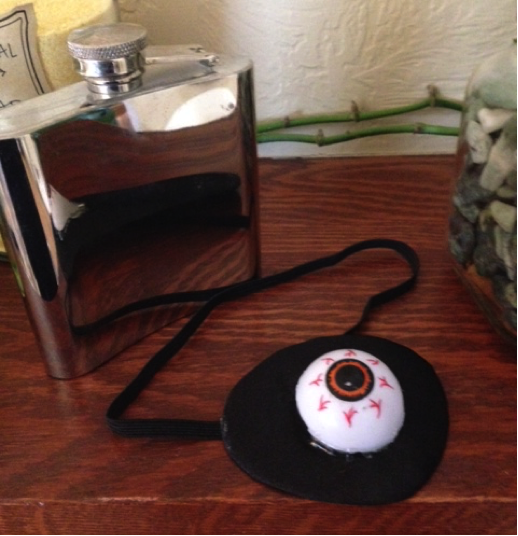 I found the eye patch at ARC for 68 cents and glued on half of a plastic eyeball. (The flask belongs to a friend…) This one was my favorite because it was so simple to transform something thrifted into something new. 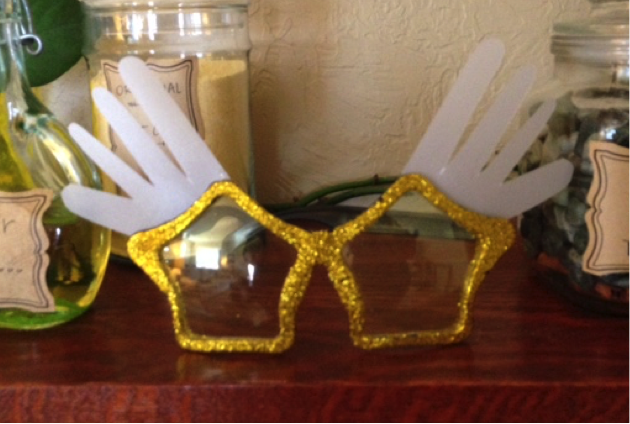 This was another super easy transformation; I added two pieces of vellum to these great glittery star glasses. 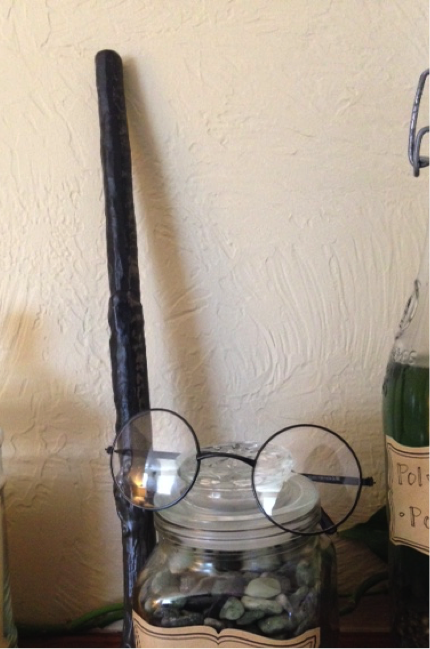 Other items included witches hats, brooms, graduation robes, and a sword(of Gryffindor! 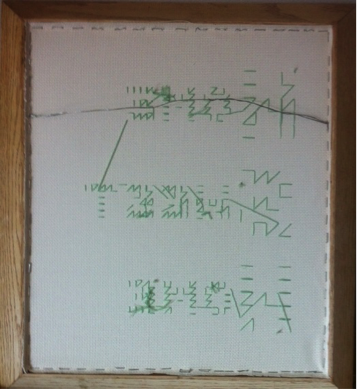 ), as well as a homemade Wizard’s Most Wanted poster. 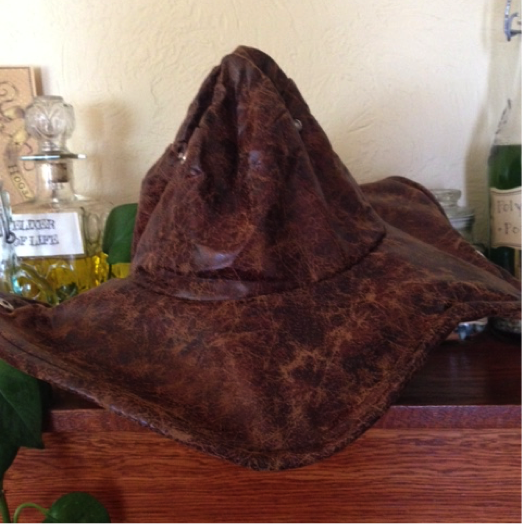 Finally, what Harry Potter party would be complete without a Sorting Hat?! This was such a fun project to shop for and work on and people seemed to love it! If you haven’t been to ARC lately, you are missing out. Halloween time is the most fun in the ARC thrift stores. There are costumes galore, wigs, accessories; everything you could possibly need for an amazing Halloween. Recently I went in not for costume purposes but for props. Some friends and I are throwing a Halloween party, which means we need decorations. 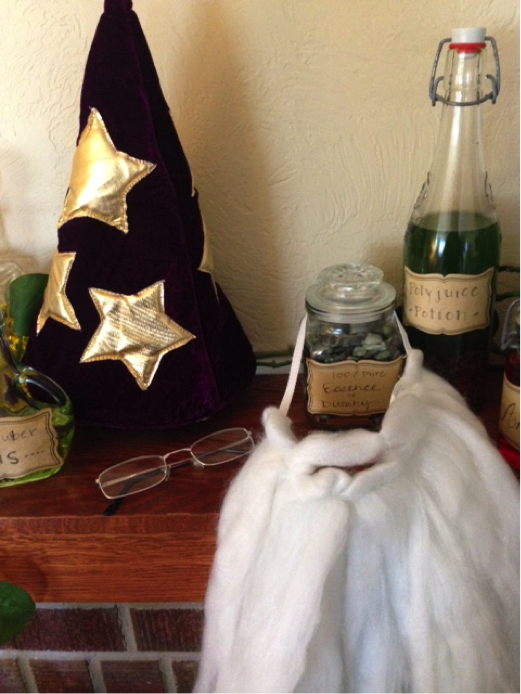 One of the things we wanted to create was a set of potions bottles and jars to have around the house for a spooky atmosphere. I set out to ARC to find what we needed in the way of containers. 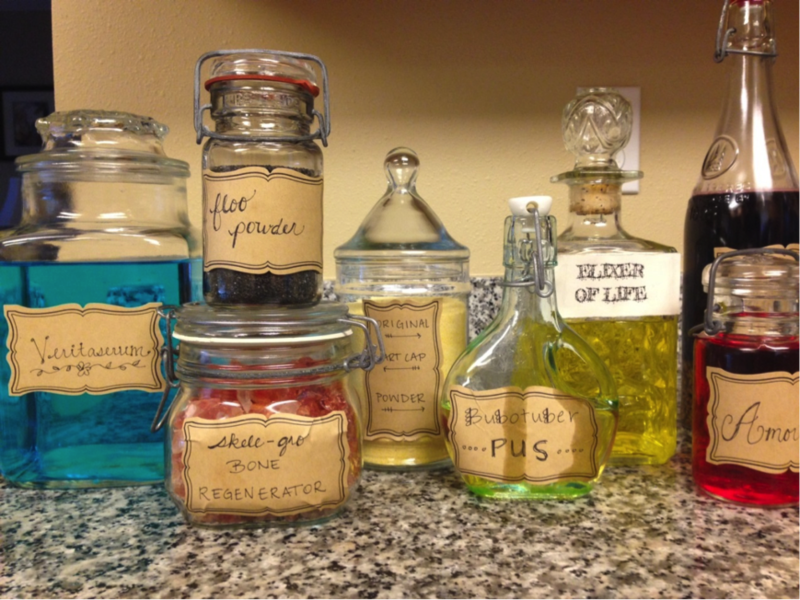 I found all kinds of great bottles and jars perfect for potions. 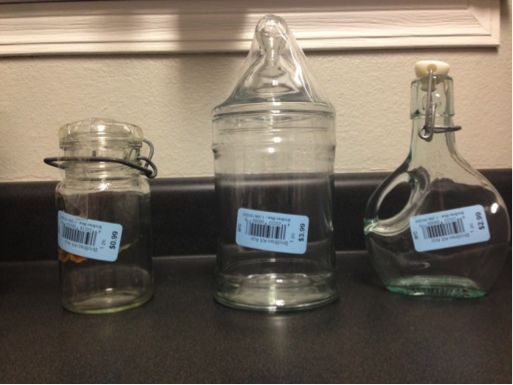 I bought large and small to have a variety, visually, and to have different options when deciding what to put inside. 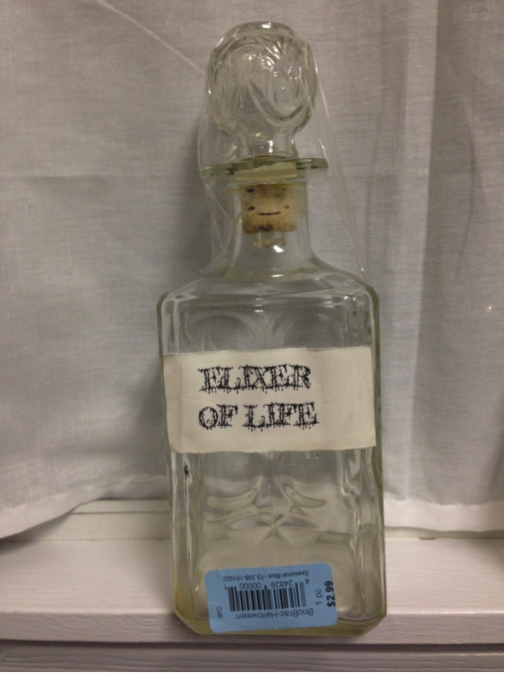 My favorite is a beautiful, vintage decanter that came with a label already on it. 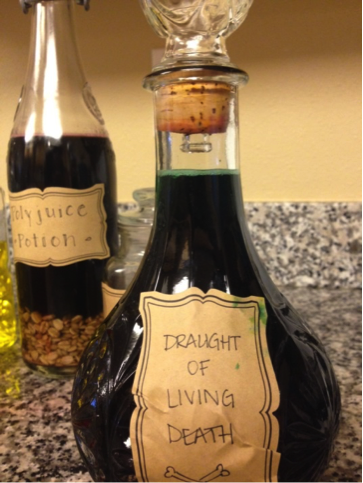 After purchasing and cleaning all of the jars and bottles, my friends and I set about making our “potions”. 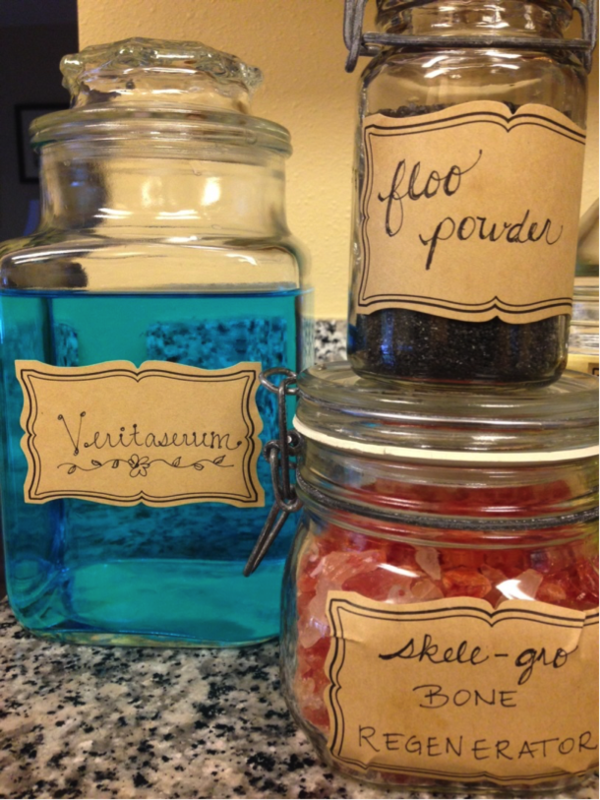 We used all kinds of things inside the jars and then designed some labels to go on the front. I think they turned out amazing! Some of you may notice the Harry Potter theme. We’re slightly obsessed….. I hope this project inspires you to hit your local ARC thrift store and come up with a spooky Halloween project of your own! 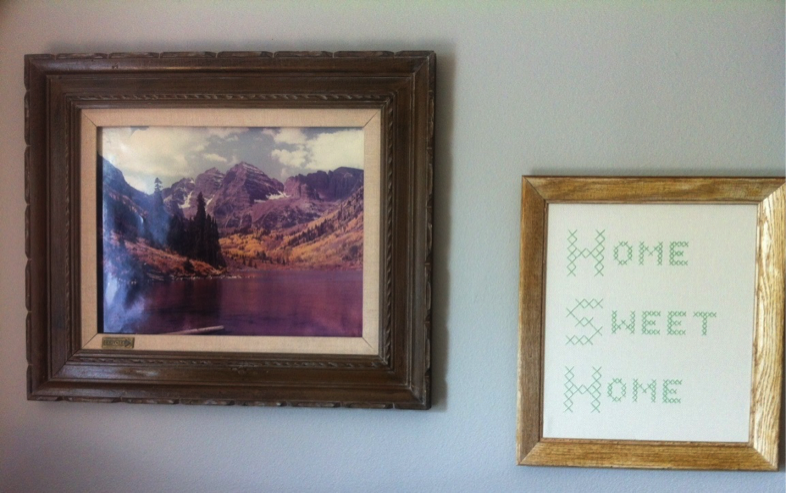 I found the special cross stitch fabric in a big roll at ARC for $1.99 and then I found the frame for $2.50. 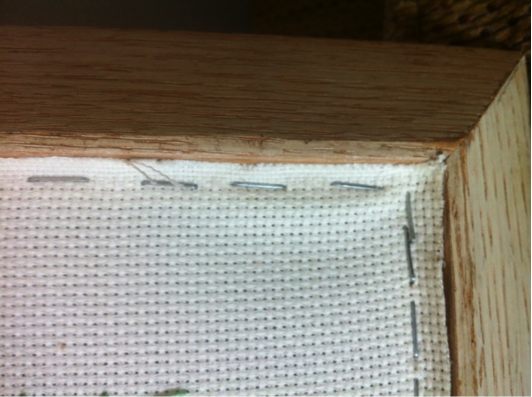 I started by stretching the fabric behind the frame and stapling it with a small staple gun to the edges of the frame. After it was nice and tight I counted the squares the length and width of the frame and made a plan for my embroidery using a piece of graph paper. There’s probably an easier way to do this but I went old school. After I had the design mapped out I started stitching! 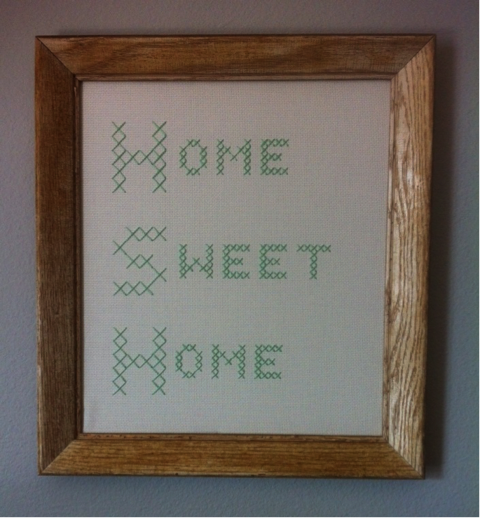 I used mint green embroidery floss that I had left from a previous project. When I was all done I put a wire through two of the staples so that I could hang it. Voila! This was a super easy project on a very cheap budget. I love the way it turned out and I really like how it looks next to my vintage picture of Maroon Bells (also an ARC find, of course J).